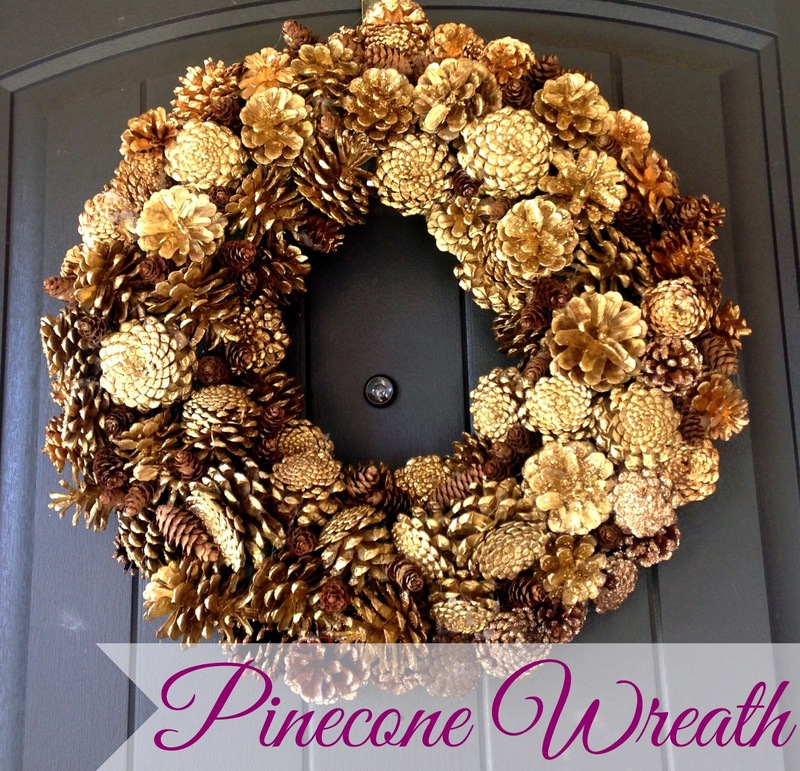 I found the easiest way was to begin glueing pinecones on the inside of the wreath form, then work your way out. After that it's really just like a puzzle piecing them all together. This is where the tiny pine cones really come in handy to fill in the small gaps that can't be helped. The fuller the wreath gets the better!!! 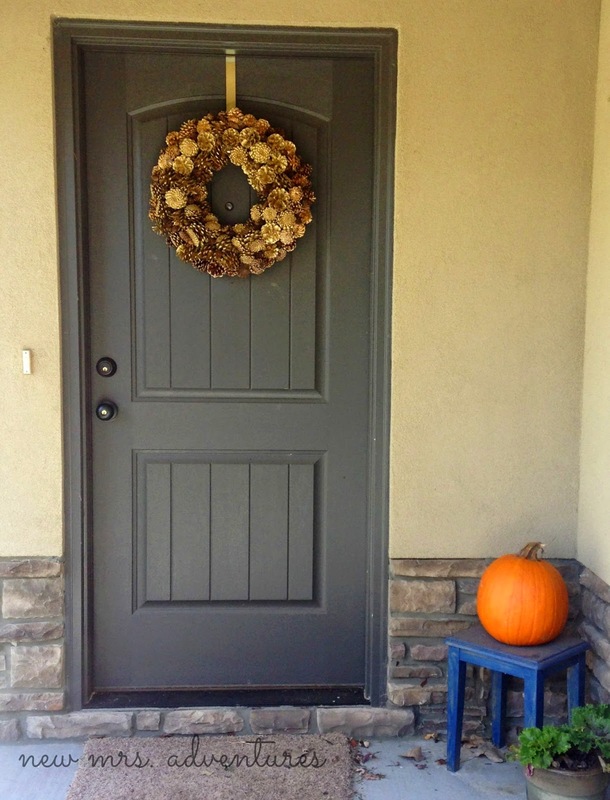 Use a wreath hanger or a large, sturdy decorative ribbon to hang on the door and enjoy! Beautiful....glad I stopped by from Wednesday Whatsits. I love it! I think it could stay up through Christmas and not look out of place! 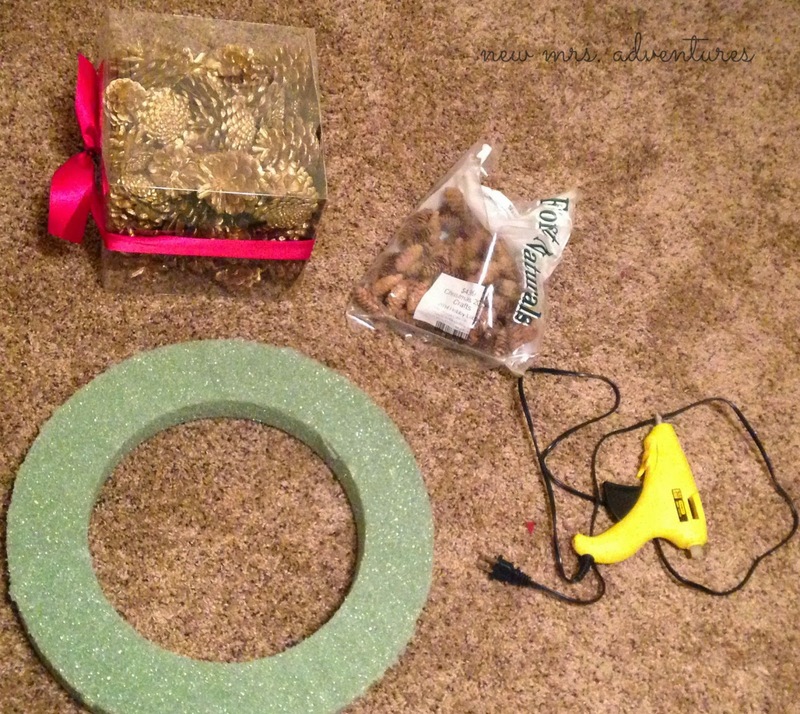 Kelly, if I hadn't had a Christmas wreath idea I was dying to try out I would have! I might put it back out in the Winter too!! This looks so pretty, and perfect for fall! 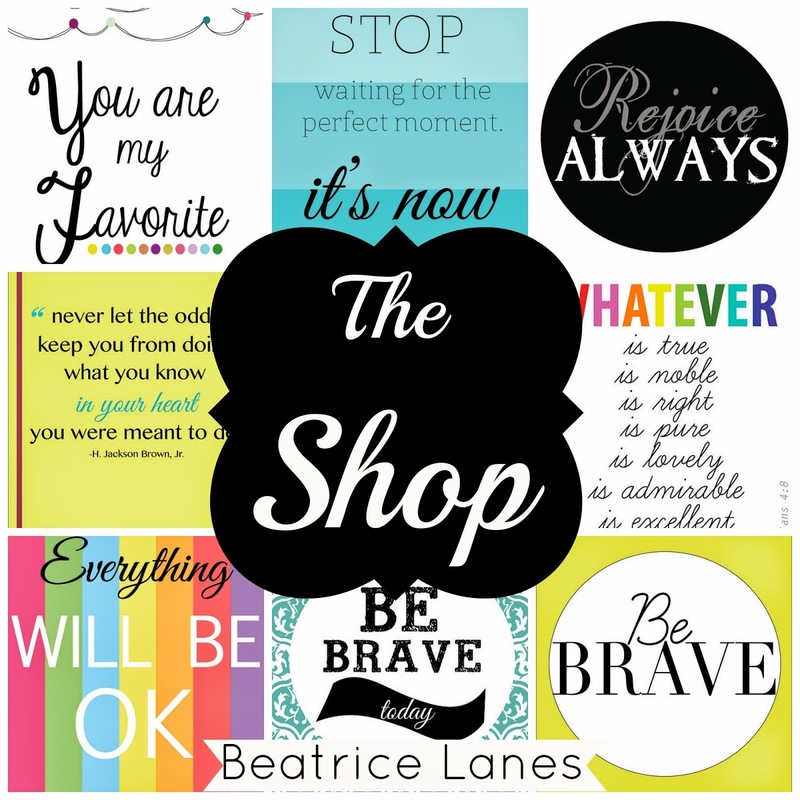 Stopping by from the Pretty Pintastic Party. Thanks Crytelle! The gold was actually an accidental, as I couldn't find enough natural ones, but I like the way it turned out! Pretty!!! Where did you get your pine ones? I got my pine cones at Hobby Lobby and Wal-Mart! 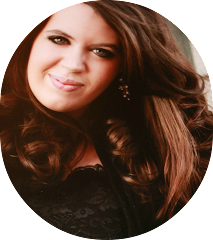 Thank you so much for the feature Michelle, it means so much! Beautifully done!!! 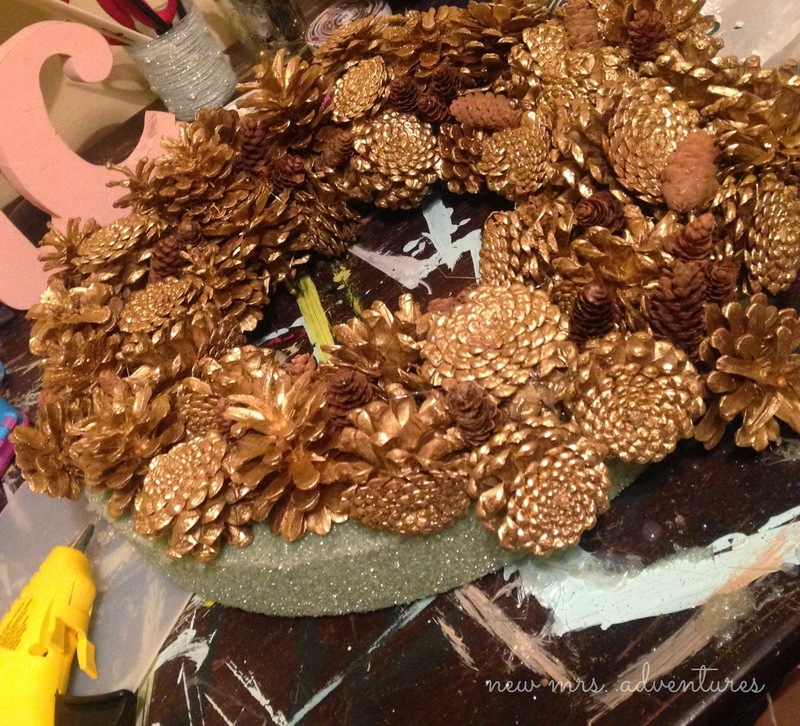 I have TONS of pine cones, now I need to paint them gold and get busy!!!! Absolutely! There aren't a lot of pine cones where I live so I had to purchase mine, but when I was glueing I thought-man I wish there were some more pinecones in my backyard! Oh wow, this is gorgeous! Thanks for sharing this tutorial. So beautiful! My mother has tons and tons of pine cones on her property, I told her she should sell them and make some money because people love decorating with them. You're absolutely right Rachel! People like me are willing to pay when we don't have any! I just keep them and store them for next year. That is so lovely, I really like the natural look. Thank you Julia! I had originally planned on a natural pinecone instead of the gold, but couldn't find enough at my Hobby Lobby and went with gold instead. I'm still happy with how it turned out though! Thank you so much Keitha! Beatrice Lanes Birthday Giveaway Winner! !